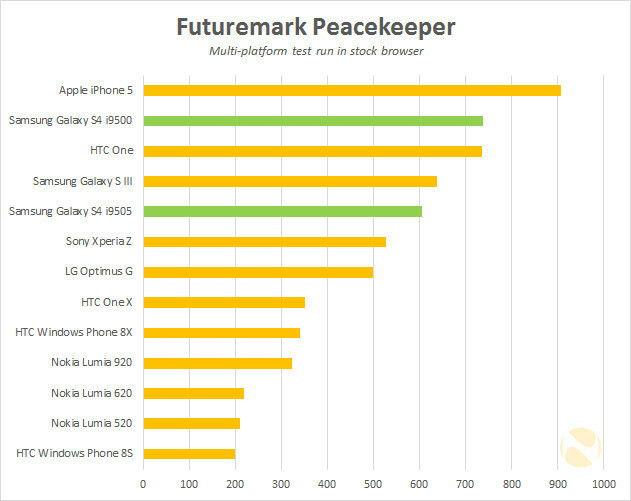 Home / All in one Review / Benchmark / Mobiles / smartphones / Test / Galaxy i9500 vs i9505 Benchmark tests comparison, what's the difference ? 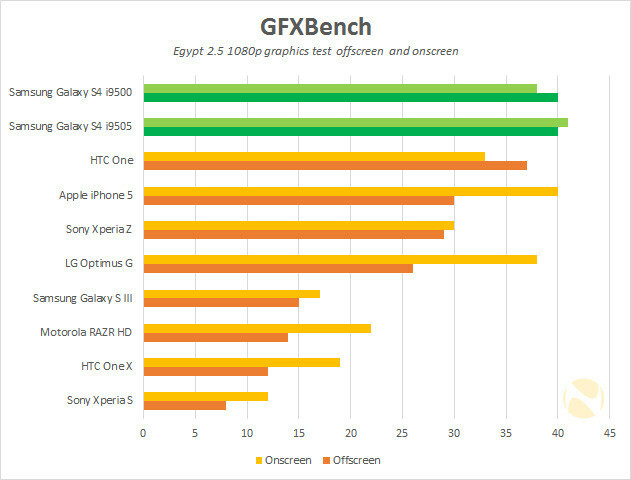 Galaxy i9500 vs i9505 Benchmark tests comparison, what's the difference ? What's the difference? A question which come into the mind of those who want to buy a Samsung Galaxy S4, the i9500 or the i9505, this article will show you some keys difference between two of the most powerful smartphones worldwide, the Samsung Galaxy S4 i9505 variant and the Galaxy S4 i9500 4G variant, Booth smartphones are close and similar unless for the processor. 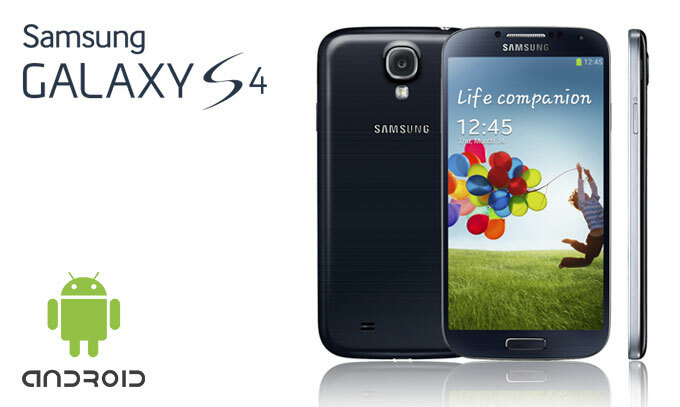 The Samsung Galaxy S4 i9500 variant is powered with a Quad-core 1.6 GHz Cortex-A15 in addition to quad-core 1.2 GHz Cortex-A7 and a PowerVR SGX 544MP3 GPU, while the i9505 variant uses a Quad-core 1.9 GHz Krait 300 and Adreno 320 GPU these are the main difference between the two variants when talking about specifications. 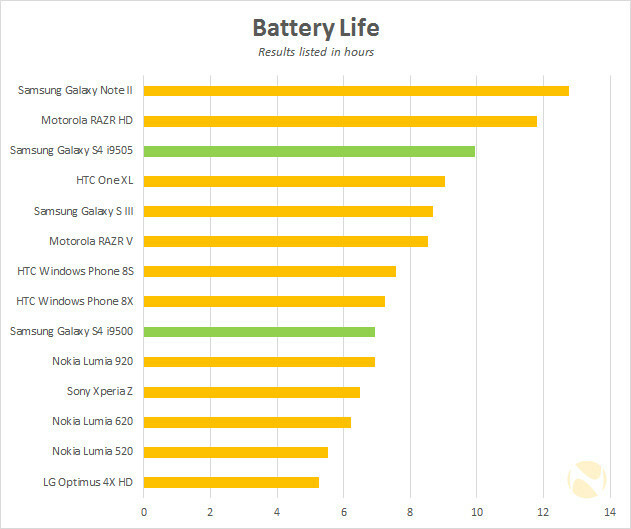 Now for the power consumption, the i9500 call-back the Cortex-A7 processor with lower clock speed and lower TDPwhen battery is low, that make a difference when talking about battery life. 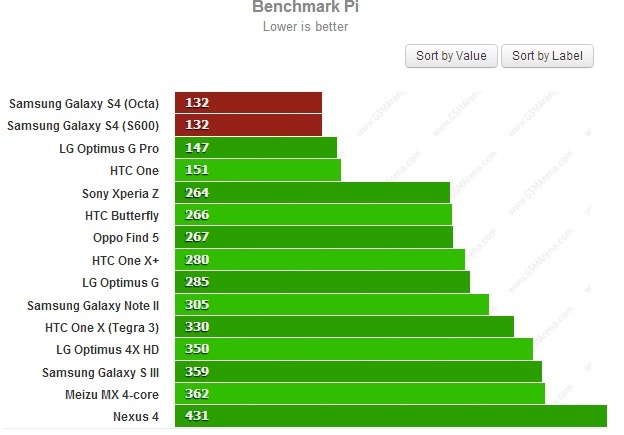 Now lets take a look at some benchmarks snapshots from neowin, a nice comparison there between the i9505 vs i9500 performance. 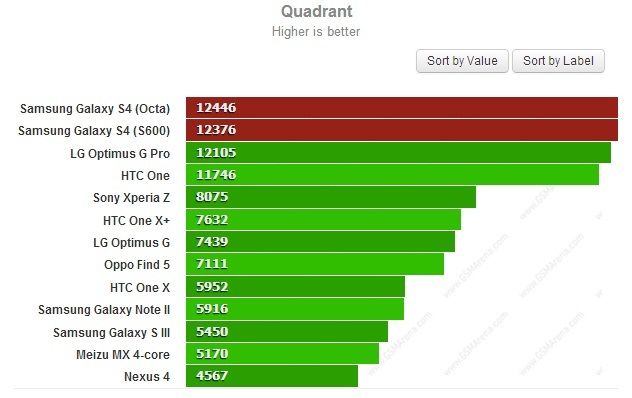 Octa is for the Exynos 5 i9500 from Samsung. Snapshots courtsey of GSM arena.